BIG5 Dubai is considered to be the largest exhibition show for the building and construction industry in the Middle East, North Africa and East Asia region. 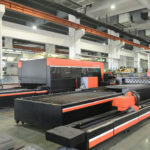 This event has a great impact on the Middle Eastern region for years now and its HVAC section has been attracting more and more attention in recent years. 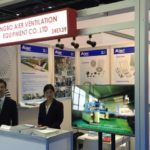 During the four-day exhibition, this event has drawn over 65,000 visitors to see more than 2,500 HVAC exhibitors coming from all over the world. We are pleased to report that we, under our Aier Ventilation brand, were one of the exhibitors at this event and took this opportunity to promote Aier Ventilation’s high quality HVAC accessories to both Middle Eastern and North African markets. How to compete with other suppliers on the market? Answer: differentiation! Are low prices the most important advantages? Not really. Differentiation allows us to provide our customers with a superior value at affordable prices, thus creating a win-win situation that can boost the overall profitability and viability of your business. 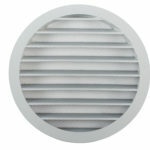 Take Our Casting Aluminum External Louvre as an example. 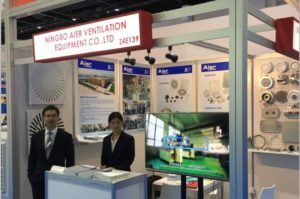 At Ningbo Aier Ventilation Equipment, we continuously work on developing and providing more comprehensive services to our customers in order to fully meet every need they might have. 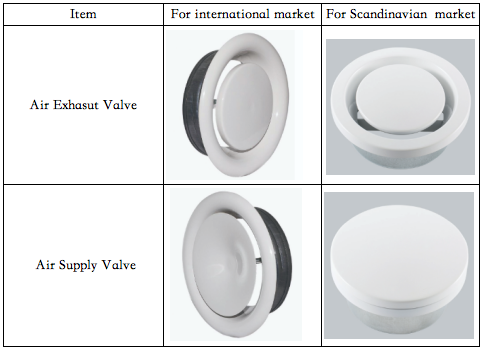 In such spirit, we have also developed plastic air valves and stainless steel air valves to satisfy customers’ diversified specifications. 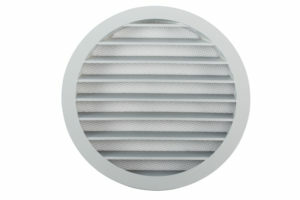 What are Plastic /Stainless Steel Exhaust and Supply Air Valves? 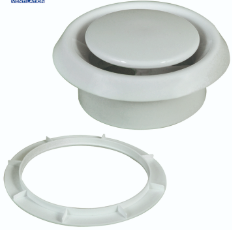 Durable high quality products wouldn’t be possible without the appropriate modern manufacturing facilities in place. 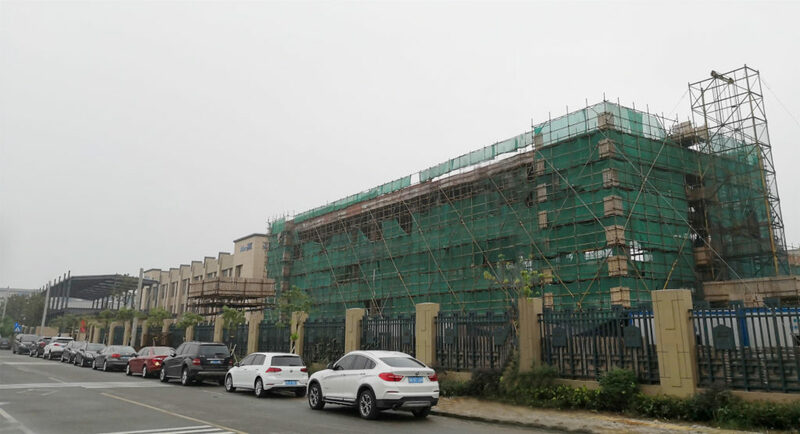 Here at Yuyao Jingqiao Hardware Factory (also as Ningbo Aier Ventilation Equipment Co., Ltd) we possess all the necessary infrastructure and state of the art machinery & equipment to plan, design, manage and produce some of the best products in the HVAC industry today. 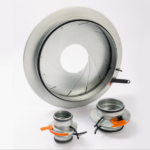 From iris dampers, metal disc air valves, ventilation pipe clamps and duct suspension clamps, to duct access doors, tabbed access doors, damper regulators and more, our HVAC accessories & custom metal stamping parts couldn’t be in better hands when it comes to making them. What is an Iris Damper? IRIS Damper is an ideal air flow regulator and measuring device for the circular ducts. 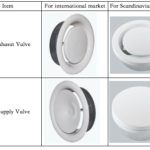 The diaphragm valve ensures a perfect accordance between the diameter indication on the handle and the opening of the valve. 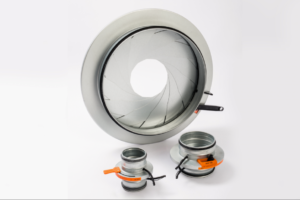 When in a fully open position, the iris damper provides a 100% free area with no control mechanism in the airstream, allowing easy and effective cleaning of the duct. Full size ranges from dia. 80mm to 800mm. We are delighted to announce that we are expanding our production facilities. As a Chinese leading manufacturer of HVAC Accessories & Custom Metal Stamping Parts, Yuyao Jingqiao Hardware Factory (also known as Ningbo AIER Ventilation Equipment Co., Ltd) has invested several millions of euro into a new site in order to increase its production capacities. The new addition to our already existing manufacturing facilities will be located in the same industrial park. 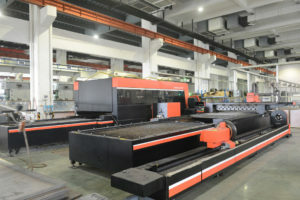 It will increase the total manufacturing space of our factory to 25,000 Square meters. 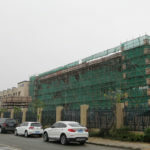 The new building will hopefully be finished by the end of this year.